Who doesn’t like being identified in the crowd? Remember how good it used to feel when as a kid we were told – ‘You, my child are unique’. Now with the Indian government shouting out loud about how they’re getting closer to giving each one of us a unique identification, it somehow seems to make even more sense. For those still new to the entire concept, the Government of India has appointed the Unique Identification Authority of India (UIDAI) agency to bring its grandiose AADHAAR project to reality. The main objective is to give every Indian citizen a Unique Identification (UID) card, multipurpose in nature. And we’ve jotted down a few things you may want to know about UID, right from the AADHAAR card application, enrollment procedure and next. You may not want to mistake the UID Card for being just another ID card though because it isn’t. Every person issued the card will be getting a 12-digit unique number that’s going to be amassed in a central database. The number will be associated with basic census and biometric tidings like fingerprints, iris and a photograph. Crossing barriers of religion, caste and creed, the numbering technique intends getting rid of fake identities in all databases. The highlight of this project is that it is for every resident and is a biometric identification. What’s more, the process is completely free and there are no costs even for enrollment. To get started, you will first need to visit your closest enrollment center to obtain an AADHAR UID card application form. If you are a resident of Maharashtra, you can find your enrollment center by hitting up AADHAR’s Enrollment Centre Locator. The various stages of enrollment include the enrollment agency operator receiving verification documents from the resident. Following this, the enroller will enter the resident data which is validated. Next, the applicant’s face photograph, iris impression and fingerprints of both hands along with thumbprints are captured. The enroller will then sign off with his/her fingerprint. Applicants are next given a receipt of acknowledgement and can expect their UID card to reach them in about 6 months time via post. For proof of name and photo identity any one among the following should do fine – Passport, PAN card, Ration card, Voter ID, Driving License, Bank ATM and credit cards with photo, Pensioner photo card, government photo ID cards, Freedom fighter photo card, photo ID issued by recognized educational institution, Arms license, CGHS / ECHS photo card and lastly an Address card with photo issued by the postal department. 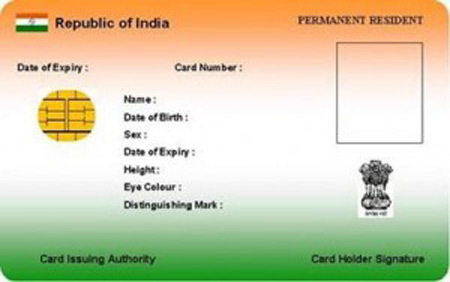 As a proof of address, you may supply any among these – Passport, Bank Passbook, Bank Statement, Ration Card, Voter ID, Driving License, Insurance policy, government photo ID cards, NREGS Job Card, Arms License, Pensioner Card, Vehicle Registration Certificate, Registered Sale / Lease / Rent Agreement, Address Card having Photo issued by Department of Posts, Caste and Domicile Certificate having Photo issued by State Govt, Freedom Fighter Card, CGHS / ECHS Card, Income Tax Assessment Order. You can also furnish any of these receipts though they mustn’t be older than 3 months – Electricity, Water, Landline telephone, Property Tax, Credit Card statement. A letter signed by the Bank, a registered company or recognized educational institute on its letterhead having a photo on it will also do. Those having a certificate of address with photo issued by an MP or MLA Group A Gazetted Officer on letterhead or the Village Panchayat head or its equivalent authority for rural areas is also applicable. Stepping in as a handy identification card for various services, the AADHAR UID card will help when you’re opening a bank account, booking e-tickets, buying rations etc. The fact that the card cannot be duplicated whatsoever because it will include your fingerprints and iris impressions makes it all the more significant. Forming a basic and universal means of identification, it’s going to help various Registrars and Agencies across the country eventually develop identity-based applications. Add to this the fact that once residents have enrolled for AADHAR, they can rest assured of not facing repeated Know Your Customer (KYC) checks by service providers. Residents not having sufficient identification documents wouldn’t be denied services. Whether it’s creating a bank account or obtaining a passport, the need to prove your identity time and again via documents will be a thing of the past. The idea behind the AADHAR project is also to empower underprivileged and poor residents gain a clear proof of identity. This will help them reach out to services which were until now impossible like a formal banking system. Alongside, they’re also going to be able to avail of a range of other Government and private sector services. Migrants too get a mobility of identity as the card transforms into identity verification through one source. Being identified does mean a lot to most of us and the AADHAR UID card does look like accessibility to services is only going to get better. The project largely depends on voluntary participation and isn’t mandatory as commonly assumed. But considering the various perks of having the card, we suggest you get started right away. 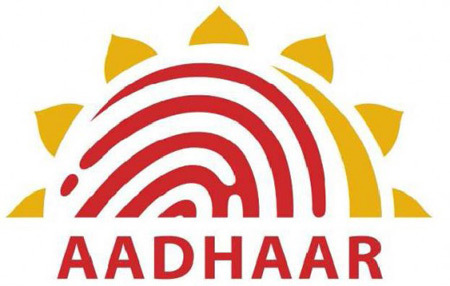 ‘Anytime, Anywhere, Anyhow’ authentication as UIDAI puts it doesn’t sound like a bad idea after all.